Why am I getting Amazon notifications for someone else? - Ask Leo! I have a Gmail account that I’ve never used. Because my phone is now a Samsung 3 and interfaces with Gmail, I’m thinking of dropping my Yahoo account. The problem is that when I go into my Gmail account, I find mail from Amazon to a lady in Florida with the same first name as me. I don’t understand what’s happened. Why, when I enter my name and password, I see emails to her about stuff she’s ordered on Amazon. Her name and address are there as well. When I look in All Mail, I see about 1300 emails, which I plan to delete and start up with Gmail because it’s the browser for my Samsung Galaxy. I don’t know who to ask about these emails from Amazon to this other woman in Florida regarding her purchases. And again, I’ve signed into my Gmail account with my name and password. So, now, I’m afraid to start up a Gmail account and drop off my old email address. Thanks, Leo for any light that you can shed on this problem. I’ve got a pretty good guess as to what’s going on. I also have some ideas and some advice for what you might want to do about it. I’m constantly amazed at the number of times people type in their own email address and get it wrong. It’s one of the reasons you see so many sites forcing you to type it in twice. It’s annoying as heck to have to do so. I’ve resisted forcing people to do so with Ask Leo!, but as a result, more than 1 out of every 50 questions submitted includes a bad email address. That means when I take the time to reply, that reply bounces. That’s also kind of frustrating. My guess is that’s exactly what’s happened here: that the lady in Florida typed in the wrong email address when she set up her Amazon account, or perhaps she changed the email address associated with her Amazon account at some point and put it in incorrectly then. I’m somewhat surprised that Amazon let this through, since normally the first thing a service does is require that the email address be confirmed by sending it a message that requires some sort of action. But ultimately there’s a lady in Florida that’s not getting her Amazon notifications. On the off chance that I’m wrong, I recommend you change the password on the Gmail account. I’d also make sure that the security information on the account is what you expect it to be. I doubt the Florida woman is accessing the account, especially if you don’t see anything in the sent mail that isn’t yours. But better safe than sorry. And after having done this, I’d have no problems using the account. Now, the question is what to do about Amazon? You’ve got several options. You could reply to one of those emails, or even contact Amazon customer service and explain the problem to them. I’m sure that this isn’t the first time they’ve had this issue. They may even have some way of resolving it themselves. Or you could drop the lady in Florida a note. You do have her mailing address after all. I do need to point out one thing that’s particularly scary. To be clear, it’s not scary for you; you’re fine – but it is scary for the lady in Florida. And it’s another reason why it’s so darned important to always double check your email address when you give it to anyone. You could probably gain access to this lady’s Amazon account. Since the emails are being sent to you, it means that an “I forgot my password” password reset link would presumably also get sent to you. Using that, you could change the password on this other person’s Amazon account. And then you could do bad things. I know you wouldn’t do such a thing since Ask Leo! readers are above such actions. But again, it serves as an important reminder that we all have a responsibility to know our information and enter it correctly. It’s one thing to not get an answer from a site like Ask Leo!, but it’s something else completely to hand over your online shopping account to a stranger. Why Am I Getting Email for Another Person in Another Country? - It can be unnerving to get email for someone else - that clearly isn't spam - which appears to have been sent to your email address. If that person is in another country, look closer. « Previous post: What do I do if my system asks for a installation disk and I don’t have one? I apparently have a very common name. I created a GMail account using my name when Google first began offering e-mail accounts. More than 10 years later, there are at least five other people (presumably with the same name as me) who seem to think that my GMail account is actually theirs. One is the owner of an auto parts store in Detroit. He orders auto parts from wholesalers using my e-mail address (and I get the follow-up e-mails from the wholesalers). Another is a college-age guy in or near Boston who uses my e-mail address to sign up for local gyms, and in one case ordered airline tickets with it (in that case, I got confirmation e-mails and even a link to boarding passes). The most interesting was a gentleman in Tennessee who forwarded a copy of a mortgage application to himself (except that he plugged in what was actually my e-mail address). I received a copy of his detailed loan application, which included full name, address, phone numbers, employment details, Social Security Number, etc. In all but one case, I had enough information to contact the people who somehow thought my e-mail address was theirs. In the last case, all I have is the e-mail address, which, of course, is mine. Every time this fellow signs up for some on-line program, I get the e-mails and I have to play a cyberspace version of Whack-a-Mole to unsubscribe myself. Among dozens of other sites, he used my e-mail address to register with Amazon. I figure all these folks are lucky that I’m honest; in several cases, I have enough information to steal their identities and do real mischief. By the way, in each case when I’ve managed to get in contact with the individual, I’ve learned it’s a simple error. Let’s say my name is John Smith, and I own [johnsmith @ gmail.com]. These other folks who try to use this address actually own addresses like [johnqsmith @ gmail.com] or [johnsmith123 @ gmail.com]. Simple mistakes, but they drive me a little crazy. I suggest that it would be a lot safer to set up a completely NEW Gmail Account, BUT taking account of what he has observed. That is, make the name part of the new account rather unusual, even at a simple level, his own name backwards; or including deliberate errors or substitutions, say letter “o” replaced by zero “0”. That would help steer him clear of any problems regarding the lady and Amazon. I wonder if gmail runs a system such as used for mobile/cell phones over here in the UK. If the phone is not used for six months, its number is placed in a quarantine list or similar. If there is no attempt to use it for another six months, it is then released for re-use with another customer. I have a similar problem with an AOL account: I got an order confirmation (not Amazon) for a woman in the Midwest. I happen to have an account with that vendor so I sent them a message. They apologized and fixed it. But now I get spam for the woman (her name is in the subject), so I think she must have used my AOL address several times. I delete the obvious spam and notify the few legitimate senders. Since I have her name and address, I’ll contact her by postal mail – I thought about doing this before but thought it might be “creepy” for her. But since Ask Leo advises this, I’ll give it a shot. I plan to close that AOL account soon, so this gives me a good reason to contact her. Last, I actually prefer sites that request a duplicate email entry – I’ve caught a few typos that way that might not have been noticed. About the switch to inactive, possibly followed by deletion, of an e-mail account. If you have a GMail, Yahoo! or Netscape.net web mail account, it will go inactive after 30 without any connection. After another 30 days, for a total of 60 days, the inactive account will get deleted with all of it’s content. For a Hotmail account, those delays are 45 and 90 days. 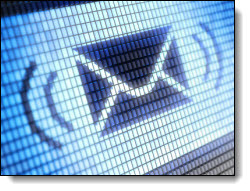 Most other free web mail services providers will have similar policies. If you have a payd account, then it depends on you paying the bill regularly. I do not understand how such services can let people signup without confirming their email addresses in the first place. I have recently started getting Emails from someone having the same name as mine ordering stuff from Amazon and the guy is in India. I am able to order, change his password and everything that one could do. I am planning to contact this guy on his registered phone number and ask him to review his account information. My wife started getting emails about having created an Amazon account and making purchases – at an email address she doesn’t really use, and definitely not her Amazon account. We tried contacting Amazon, but they were no help at all. (Basically said “It’s your account.”) Ended up resetting the Amazon account password to look at the details – the person’s name in the account was totally different from the firstname.lastname email address, all purchases were made using gift cards, and all were download-only items. In other words, it was a fraudulent account. Amazon allows this to happen (in part) by not bothering to verify the email addresses used. We ended up changing the name to Fraudulent Account (or something similar), calling Amazon, and asking them to cancel the account, which they then did. If it looks like a real person’s account, try contacting them instead.